The Arts and Education Council (A&E) proudly follows the recommended best practices in governance, donor relations and transparency. A&E believes donors have the right to know how their contributions are invested in the community. A&E meets the Better Business Bureau's (BBB) charity standards, which go beyond requirements of the law to maintain donor confidence by being transparent and accountable. 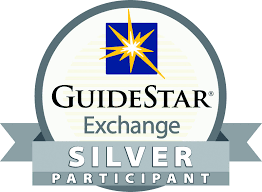 A&E is also considered a Silver-Level Guidestar Participant for its commitment to transparency. We invite you to read or download our most recent annual reports to the community below. For earlier reports, please contact us.